Little Mety had a heartbreaking introduction to life. As a kitten, he’d been found on the streets without a mother, cuddling next to his brother who had died shortly before. 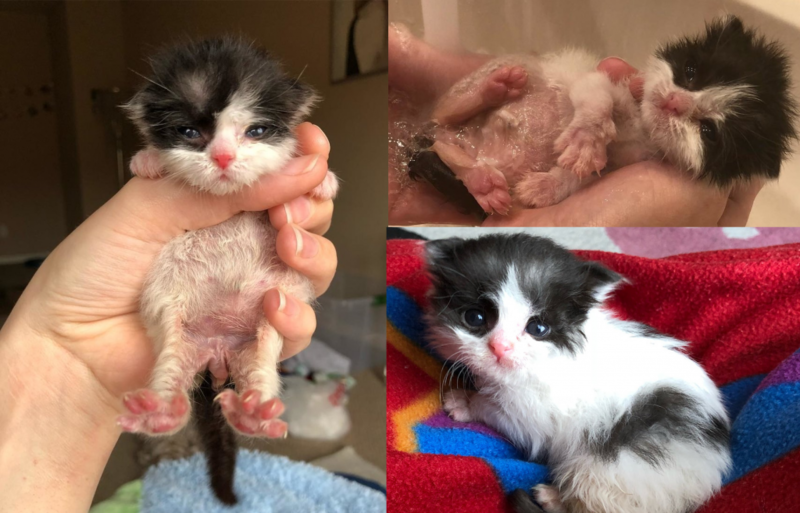 A kind woman saw that the kitten was still alive and rushed to help him, giving him to a foster home that would be able to give him the care he needed to survive. When Mety was evaluated, the vet was shocked! 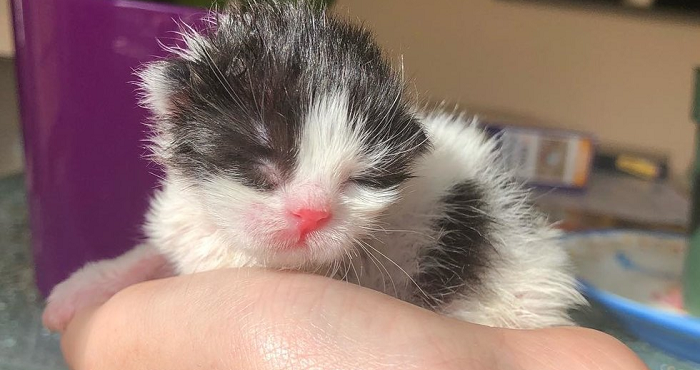 While the kitten was one week old, he only weighed as much as a newborn. He hadn’t put on any weight, and without a mother to feed him, he should have died…but Mety was a fighter! The incredibly tiny kitten seemed to know that he’d found someone who would keep him safe. He loved his kitten milk, he loved his new foster mom, and he absolutely loved to cuddle! Within days, he had put on a lot of weight, and within weeks, he was waddling around and exploring! He never shied from a new experience, and one of his favorite times of the day was bath time! Being surrounded by all of that warm water was super relaxing, and the extra cuddles made him feel safe! He might not have been given a fair shot at life, but he made up for it by never giving up!